This is a very cool 34mm. 1960’s vintage solid 14k. 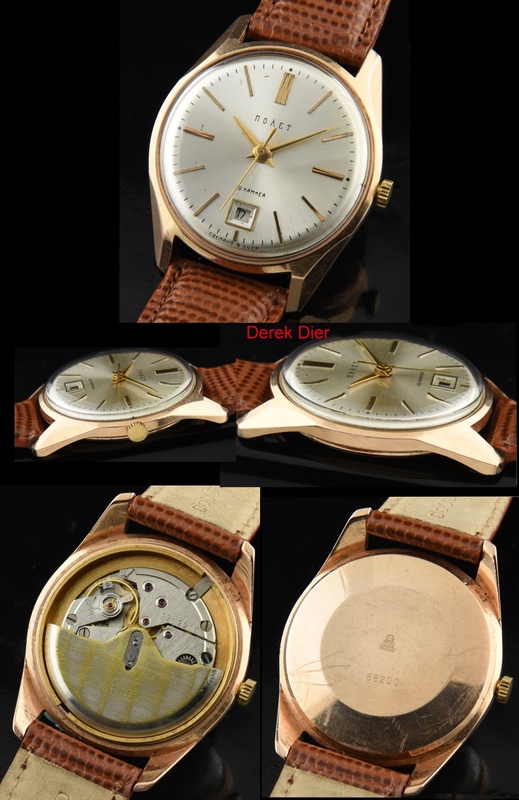 rose gold watch having interesting beveled lugs. The dial and hands are all original. This watch has the original Russian automatic winding movement which was just cleaned and is accurately keeping time. The entire watch is in VERY good overall condition. 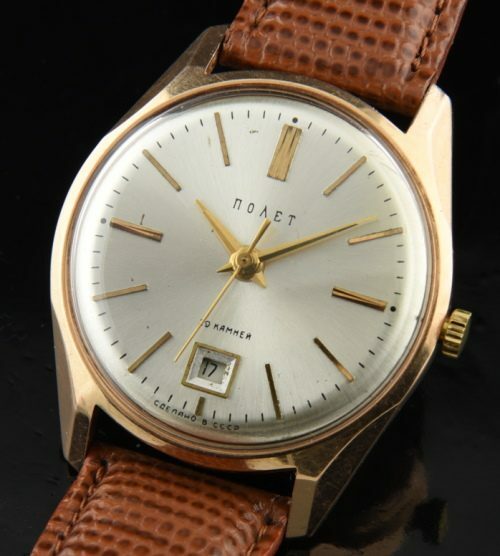 It’s so neat to find a Russian watch in solid rose gold!